Elsie Robinson: Pinkfresh Studio | Birthday Blog Hop! Pinkfresh Studio | Birthday Blog Hop! 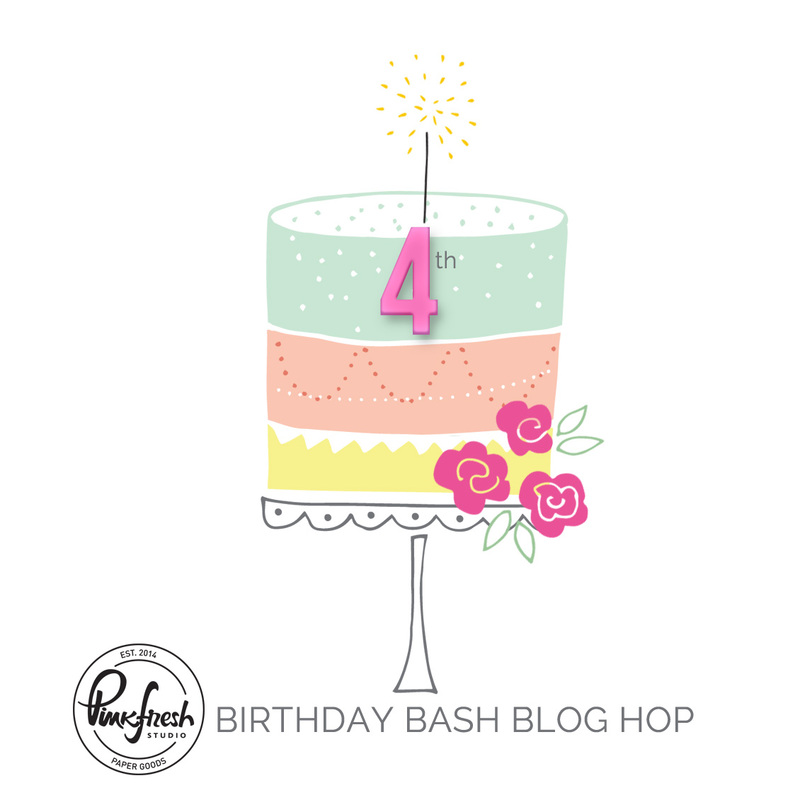 Hey crafty friends, it's Elsie here with a blog hop celebrating Pinkfresh Studio's 4th birthday. 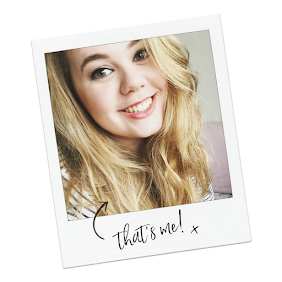 There are loads of giveaways happening on my blog and across Pinkfresh social media, but first let me tell you about the layout I've created! I'm *slightly* obsessed with the Be You collection, and I couldn't resist making another layout with it. I especially love the florals in the collection, so I was inspired to create a springtime layout! 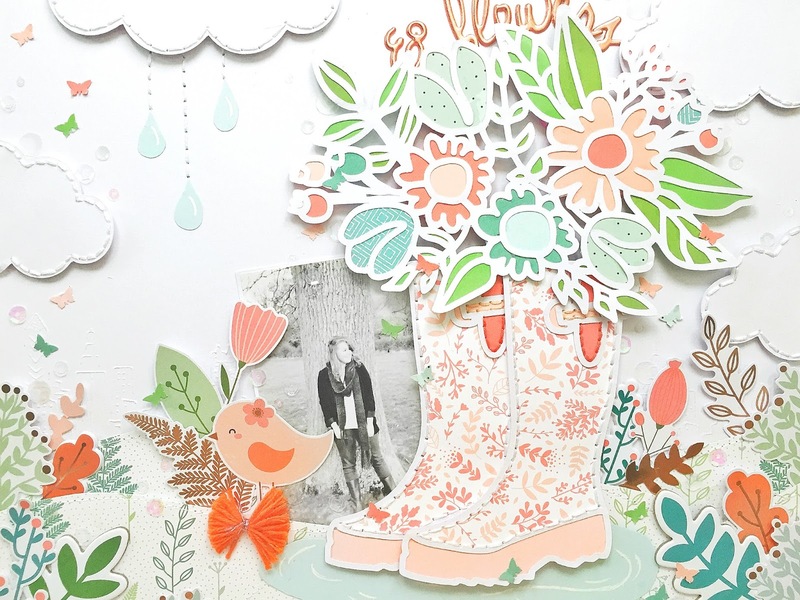 I backed a couple of cut files from Paige Evans (the rain boots and flowers) with the lighter colours from the kit. As much as I love the navy in this collection, I wanted to keep this layout light and fresh to get that spring vibe! I created clusters of in the corners of the page to help frame it, and I used some of the foliage/leaf pieces from the die-cuts, chipboard and puffy stickers. I also created a puddle and some raindrops hanging from the cloud with some plain blue cardstock and added some highlights with a white pen to make it look like water. And finally the alphas in this collection are amazing: shiny rose gold in a script font... what more could you want?! Over on the Pinkfresh Instagram they're giving away a stamp and die bundle. 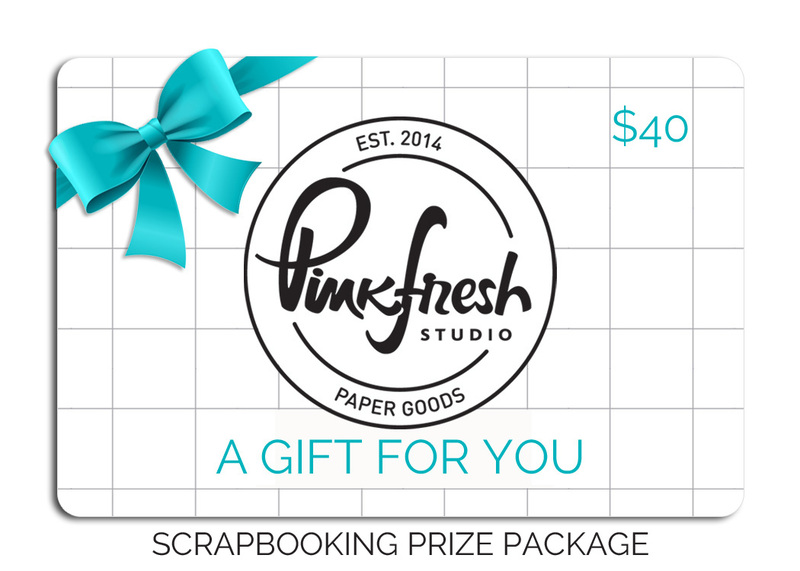 And finally on the Pinkfresh Insta Stories you could win another $100! Entry closes on April 9th at 6am PST. The winners will be posted on the Pinkfresh Blog on April 9th at 12:30pm PST. Phew!! So much going on, but I hope you have fun checking out everyone's projects and win some goodies! Happy birthday Pinkfresh - you're awesome! Here's to many more birthdays! Lovely page! Thank you for sharing! Darling layout! I love the stitching you added onto your clouds! Adorable!! I love it all. Love your layout and the colours are wonderful! Very interesting layout with the varied dimensions, so cool! Love, love, love this. So very pretty. Wow wow wow wow!!!!! I'd love to see a video on how you made this! So pretty. Loved how you put it all together. is such an awesome layout. So pretty! Perfect layout for Spring. I love the rain boots...so trendy right now. So pretty and thanks for sharing. I just love, love, love this layout!! So clever and so sweet, love this Springy layout! This is a fabulous layout! I’m in love with these colors! Wow thats 1 heck of a layout. Great job! Love this page. So pretty, unique and fun. I love the rain boots. Great layout and perfect colors for spring. Goodness, this just screams SPRING! Love the colors and the rain boots, just adorable! This layout screams "spring". Love the rainboots and flowers. Great job. Wow, what a lovely and sweet layout! LOVE the rain boots! Omg! GORGEOUS layout! I love it! What a great and funny scene. 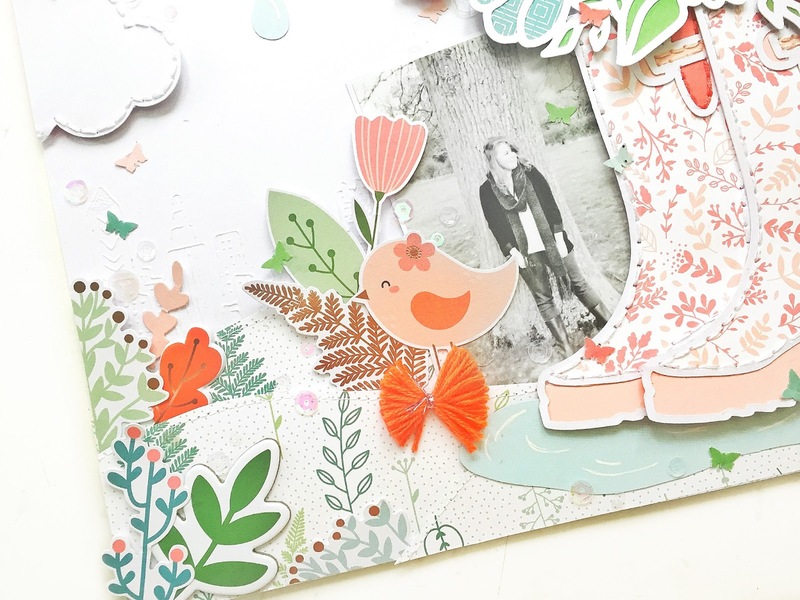 I love all the dimension on your super cute springy page!! I'm not a scrapbooker, just cards, but this fun spread could make me change my mind! I think all your layouts are works of art and this is yet another one. So pretty - love the die cuts and the colors. Outstanding as always! Thanks for sharing Elsie. Gorgeous layout! So perfect for spring. The flowers are my favorite. What a great layout! Such pretty combinations you chose! Stunning! Love the layers and dimension. Love the flowers and boots and all the details! Elsie, your layout is perfection...I love everything about it!! Those adorable boots with the adorable flowers are the best!! I love the bird, the clouds, the variety of flowers, and the lettering....perfection!! While I am not a scrapbooker, I can always appreciate a good layout. We'll done! Beautiful layout with a great use of cut files. Bravo, Elsie! i want to make this!!! Be still my heart!! Lovely! Very pretty layout. I love the colors and all the flowers. Awesome page! So many beautiful details! Love it! What a cute page! I love the colors of this adorable rainy day scene. The stitched cloud is too cute !!! And the boots and the flowers are just too beautiful ! You make me want to try scrapbooking ! So fun!! Love this layout! Es un diseño hermoso y muy trabajado me encanta su resultado sobre todo la nuve es hermosa!! What a fresh and lovely layout you made. I am really impressed by your talent. This is such pretty layout! I really like the cut files and how you incorporated them into your design. Your layout is super fun! I love the boots. Thanks for sharing! So, so cute, Elsie!! Thanks for sharing this amazing layout! Wow..loved the light,airy color scheme and the rainboots with flowers look awesome ! Beautiful springtime layout. Love the colors! Oh my goodness, I love this layout so much. The giant boots with a flower bouquet! Thanks for sharing. Amazing. This is beautiful! You have such a unique style! What a sweet layout ❤ I love it!! This is my favorite out of all of them. You grabbed on as soon as I scrolled down and saw the cloud and the then the rain boots...I just wow. That's a gorgeous layout!! Love it! I could look at this all day! Beautiful! I'm always excited to see what new story you will tell with cut files and patterned paper. Wow, what an awesome layout page! That layout is amazingly beautiful! Omg so cute! Love those boots! Very inspiring! Thanks for sharing!! Wow! Amazing layout! There's so much to love on this page you created. The stitched clouds are adorable, the rose gold lettering is gorgeous, and the paper-backed flowers and rain boots are so pretty! You do lovely work! Elsie, I think your layout is the “good stuff”. It’s a wonderful design, with really beautiful colors. GORGEOUS layout! 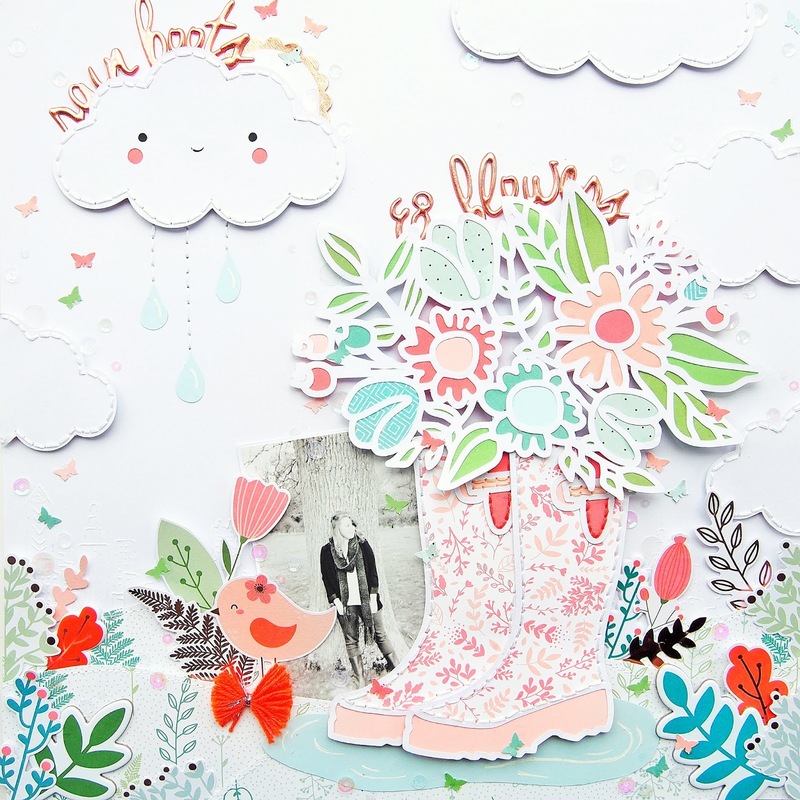 Love the stitching on the clouds and the fantastic cut file with the flowers and boots, so pretty! So much texture! What an inspirational work. Sweet layout!! I love the happy cloud!! I’m obsessed with the flowers and rain boots now too! It’s just gorgeous! Thank you for sharing! A wonderful layout Elise. 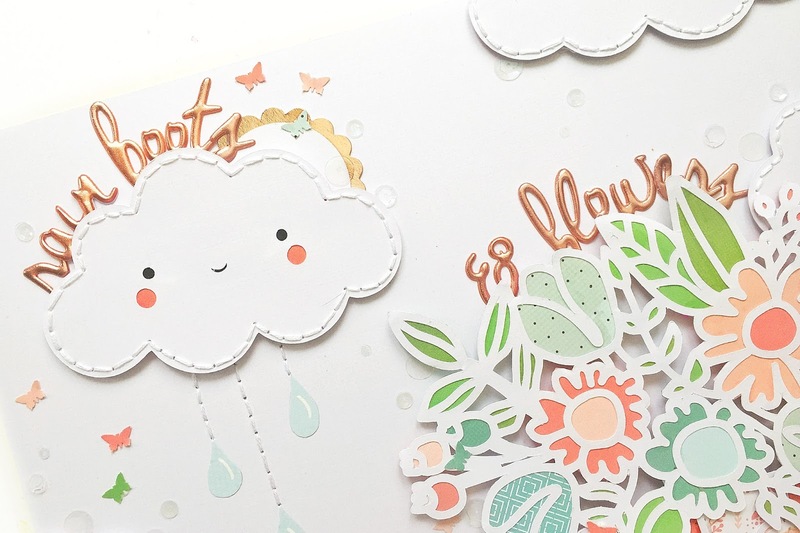 The paper and die cut foliage is so pretty and I love the face on the cloud. Super cute! So cute. Love the boots. This is so sweet! I love the color palette of this set and those bird and boots are completely adorable. No wonder you're obsessed! This is gorgeous; thanks for sharing with us. Oh my .... I absolutely LOVE this layout and I love blog hops for allowing me access to new to me artists. Thanks for sharing. Love this cheery spring layout. Thanks for sharing your creativity. Gorgeous as always! Love the stitching and color combo of all those flowers! Just the perfect amount of whimsical and beauty! Love the water droplets and clouds! Great work! Thank you for sharing! Love those darling wellies (I want a pair just like that!) and the actual stitchted cloud, too! Congrats to Pinkfresh on their 4th anniversary! Fabulous job ! Thanks for sharing ! I'm a fan of your layouts! Love all the tiny details you put into every one! Love the colors as well! This is beautiful and I love the stitched clouds and raindrops! That’s a super cute layout ! Oh my cuteness!!! This is fabulous and so springy! Your layouts are always so gorgeous, Elsie! <3 This one is no exception, love this!